Kari started dancing when she was 3 years old after her mother enrolled her in ballet to correct her severely turned-in legs and feet. Dance not only fixed the problem; it also became her passion and now, her career. Most of her ballet training when she was younger was exclusively through private lessons, but from 1996-2000 she studied with Betsey Herskind, former ballerina for the Ballet Russe de Monte Carlo. It was during that time she learned several different methods of ballet. Throughout the 90’s she not only took classes regularly, but also trained with principal dancers of the Joffrey Ballet in Chicago. She studied tap and jazz with Broadway choreographers Ted Levy (“Bring in Da Noise, Bring in Da Funk”) and Chet Walker (“Fosse”). 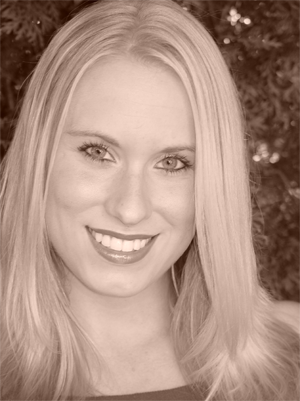 Kari joined PUD in 1995, and she also was an avid performer/choreographer throughout high school. As a student at Picture Us Different, Kari discovered lyrical ballet, a form of dance that she now loves and incorporates in her own method of ballet instruction. Hip-Hop, Jazz, Rhythm Tap, and Character Dance were also introduced to her, making her the well-rounded dancer/instructor she is today. Kari is currently the Office Manager and Classical Ballet Director here at PUD. Since becoming involved with the studio, she has had many wonderful opportunities to share dance. In addition to teaching, she performs regularly with PUDCO, the company she has been a member of since 2000. She has been invited to appear at the Park Ridge Country Club to perform several times, appearing as the “Sugar Plum Fairy” at the Christmas event, “Angelina, Ballerina,” and many other characters!